PITTSBURGH, Pa., (May 2, 2016) – Kennametal Inc. (NYSE: KMT) today reported results for the 2016 fiscal third quarter ended March 31, 2016, with earnings per diluted share (EPS) of $0.20, compared with the prior year quarter loss per diluted share (LPS) of $0.58. Adjusted EPS were $0.37 in the current quarter compared with $0.46 in the prior year quarter. The company generated year-to-date free operating cash flow of $67 million compared with $143 million in the same period last year. Fiscal 2016 EPS guidance is now $1.05 to $1.15. The current period reported results include restructuring and related charges of $0.18 per share, a net gain on divestiture of $0.03 per share and the current quarter tax impact of the second quarter asset impairment charges of $0.02 per share. The prior year quarter reported results include goodwill and other intangible asset impairment charges of $0.90 per share, restructuring and related charges of $0.12 per share and tax redeployment expense of $0.02 per share. 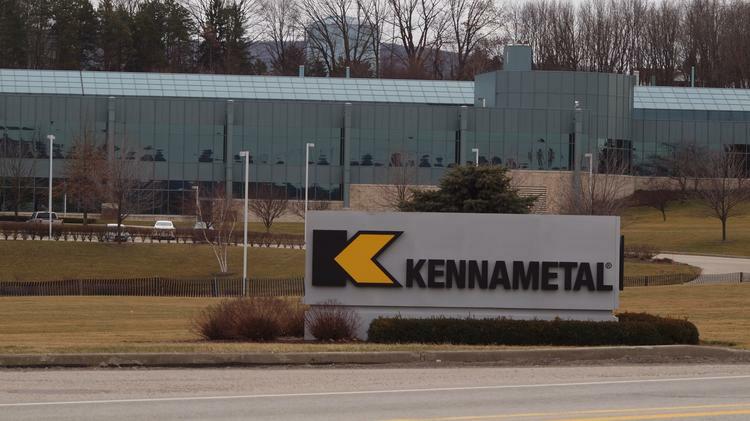 "Kennametal’s third quarter performance reflects progress from operating results in a challenging environment, and benefited from a favorable tax rate," said Ron De Feo, Kennametal President and CEO. "The 2016 third quarter adjusted operating margin of 7.8 percent is substantially higher than the year-to-date December fiscal 2016 adjusted operating margin of 3.6 percent, reflecting sequential volume growth and lower raw material costs. Infrastructure made progress, posting adjusted operating income of $10 million compared with losses for the first half of the year, and Industrial results reflect better sequential margins as well with adjusted operating income of $30 million. Adjusted EPS, while still lower year-over-year, strengthened sequentially as a result of the higher gross margins and lower operating expenses." De Feo continued, "We have a lot of improvement opportunities within Kennametal to simplify operations, lower costs and drive margin improvements over time. We need to be more customer responsive and grow market share with innovation, entrepreneurship and speed - all things we are working on and plan to discuss with the investment community in the future."